Have you ever seen the perfect You Tube video that you could use in your class but can’t show it to your students because your school blocks You Tube? Understandably schools block the site but there are powerful teaching aids on it that should be used. First of all there are several ways to download You Tube videos. I am going to show you the one I use because it’s easy. 1. You must have FireFox as a browser (not Internet Explorer). If you don’t have Firefox its a free download here. If you already have Firefox go onto step two. 2. 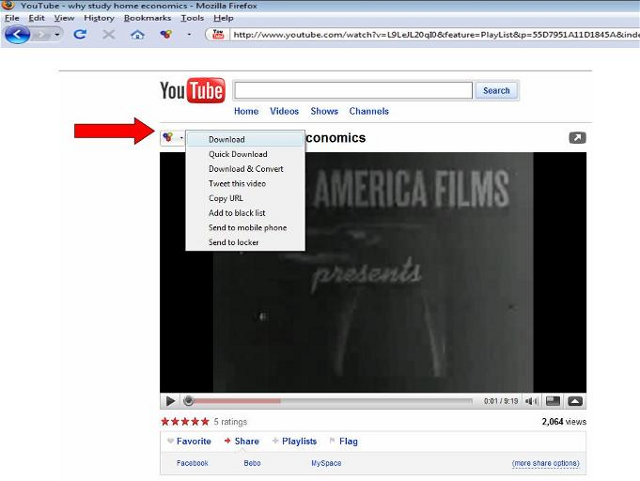 After you have Firefox as your browser you simply have to download a free Add-on called “Video DownloadHelper” to the browser. To do this follow the link and download it (click the button called, “Add to Firefox”). 3. After you download it and re-open Firefox, a red, blue and yellow cluster will appear next to the browser. 4. Find a video you would like to copy from You Tube or another video website. 6. A window will pop up automatically for you to save the video in the location of your choice. 7. Now all you have to do is transfer the file to your jump drive or CD and play it at school. FYI: some You Tube videos are poor quality and therefore will not look very good on a large screen. I was so confused now I get it! Thanks!